As the story unfolds it’s obvious something isn’t quite right between Alexa and Rosie. They both have personal problems, a sick mother and a stalking boyfriend, but it’s only when Alexa takes sick leave that things begin to unravel in earnest and the whole truth becomes known. Here, no one knew me. No one would judge me for skipping my usually elaborate make-up routine. No one would notice that I’d chosen unremarkable outfits on purpose to blend into the crowd, and had donned a pair of comfortable sandals instead of the achingly-high heels that complimented my typically carefully selected office clothes. If I’d learned one thing over the years, it was the fact that both immaculate looks and controlled behaviour could go a long way towards influencing people’s impressions of me. This quick but thought provoking read packs a lot in, mainly, I think, because it’s driven by the characters, mostly through their dialogue, with little to no telling of events. We learn, little by little, who is doing the manipulating, as it isn’t obvious to begin with, showing a darker side to friendships and how easy it can be for some people to be drawn in without realising what’s actually happening. Manipulators have a wide-reaching effect, encompassing not only the victim but others in their lives. 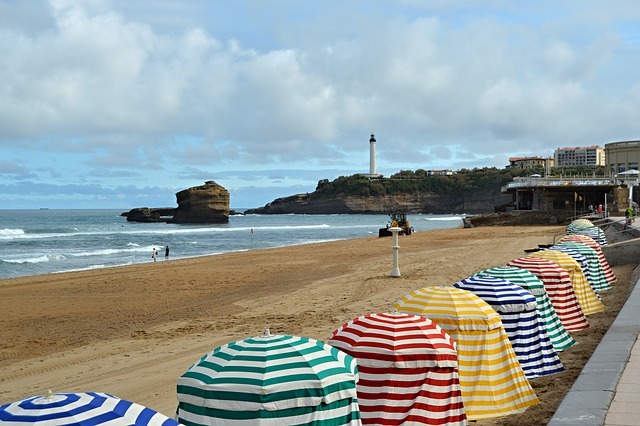 I enjoyed the more unusual locations of Paris and Biarritz. The characters are well defined and portrayed extremely well, each individual and realistic with flaws and weaknesses. H.A. Leuschel obviously has a very good understanding of the human psyche in all its complexities, and it just goes to show that people aren’t always what they seem. It’s a little scary to think someone might go to those lengths to keep up a deceit, which is starkly apparent between the work and home personas. I chose to read and review My Sweet Friend for Rosie‘s Book Review team based on a copy of the book supplied by the author/publisher. This sounds really nice, Cathy. Thank you so much Cathy for featuring my new novella on your wonderful blog!! This is a very interesting book. One to make you think. Love the author’s writing style. One to make you think, for sure.